Kervin grew up in the Boland town of Paarl. He is a talented, highly productive multimedia artist and sculptor. 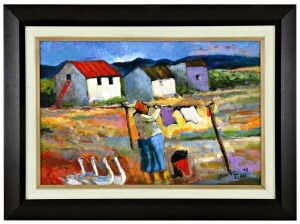 He is active in his community and is a founder member of the Ebezweni Art Group in Paarl. After matriculating, Kervin received training at the Sculpture Workshop at Daljosaphat Art Foundation in Paarl. 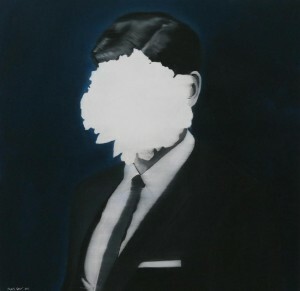 He participated in numerous group exhibitions as well as solo exhibitions. 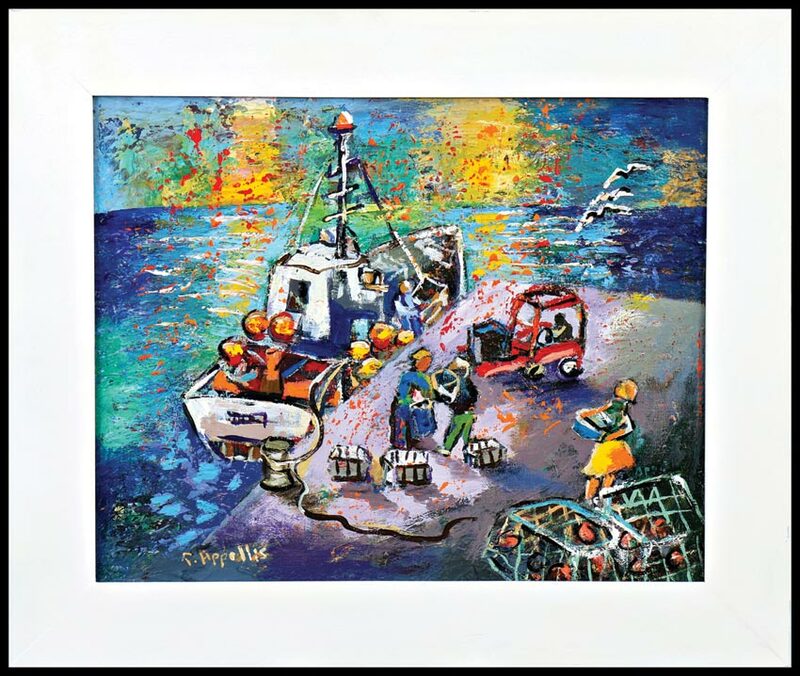 Kervin’s art works are found in Corporate and Private Collections, Embassies all over the world, the Western Cape Legislature and the South African National Government. Sandy comes from a creative family in Darling, on the Cape West Coast. He is a self-taught artist, using acrylics and mixed media. He became a full time artist in 2000 and did commissions for Daimler Chrysler, Indaba Tourism, Policy Link and “Evita se Perron”. He participated in many group exhibitions as well as many solo exhibitions. 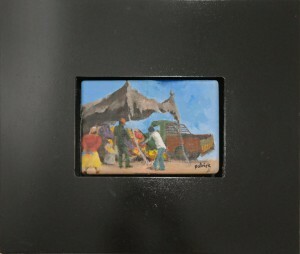 His art works are found in most of the major galleries in South Africa. Sandy was educated at the Vooruitsig Primary School in Darling and the Atlantis Senior Secondary School. His remarkable talent was noticed by an art professor of the University of Cape Town and he made it possible for Sandy to receive his art education at the Ruth Prowse School of Art in Woodstock (lectured by Eric Loubser and Ryno Swart) and the Daljosafat Missionary Station in Paarl (lectured by Judith Mason). He is regarded as one of the most successful and talented young artists in South Africa. Patrick was born in Simonstown on 26 June 1952. Patrick believes his ability is a God-given talent, as his art has always been with him. His parents and grandparents were residents of District Six and were victims of the forced removals in 1958. His preferred medium is oil and acrylics. Over the years he attended private art classes and studied through correspondence. He had commercial art tuition at the Ruth Prowse School of Art in Cape Town. 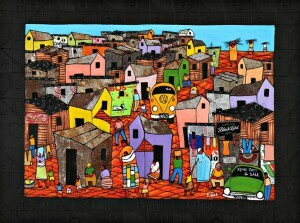 Patrick has taken part in major art exhibitions in South Africa and abroad. 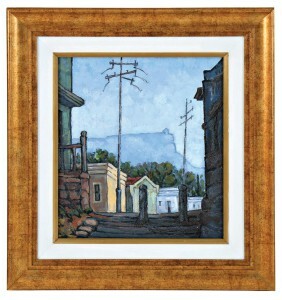 His preferred interest is landscapes and District Six as the subject. 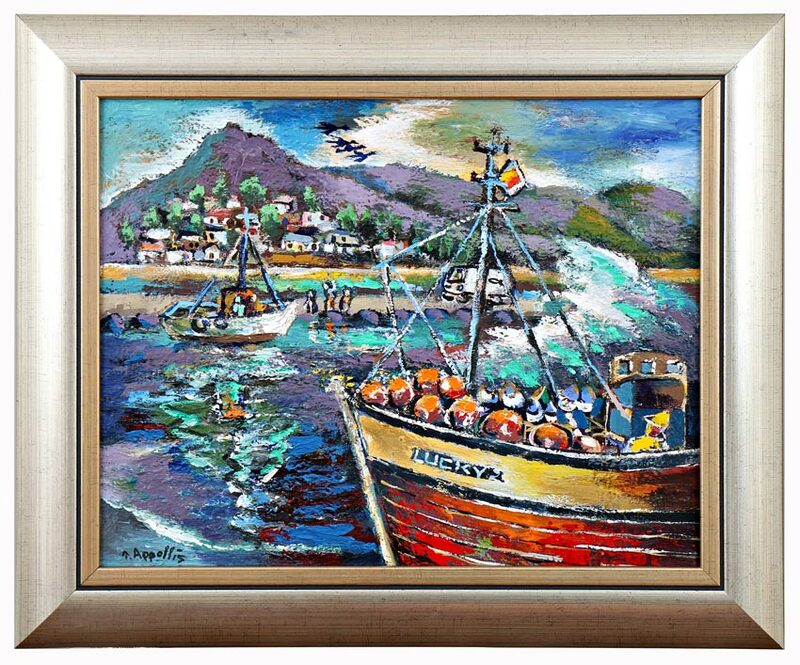 His works are found in private and corporate collections all over the world as well as in all major art galleries in South Africa. Beezy Bailey is a South African artist who works in various media, including painting, sculpture, drawing, printmaking and ceramics. He received a fine art degree from Byam Shaw School of Art in London. Bailey has a history of close collaboration with other artists most famously musicians. He has done work with David Bowie, Brian Eno and Dave Matthews. He has worked with photographers Adam Letch and sculptor Koos Malgas. He has also exhibited at the Saatchi Museum in Chelsea, London. 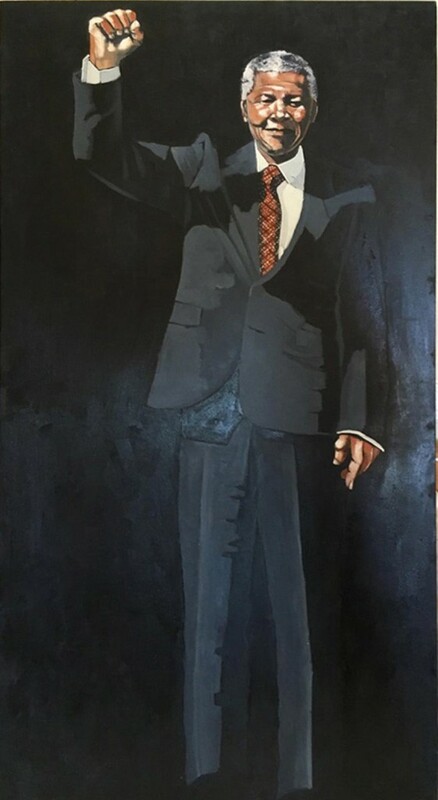 Baileys work is represented in several art collections, including the David Bowie Art Collection and in the permanent collections of Sasol, Standard Bank, Investec bank and the Kunsthuis Museum in Germany and the SANG (South African National Gallery). He had a show in the 2008 Cuban Biennale and was part of the official programme at the 2015 Venice Biennale. Selwyn Pekeur studied art at school and then went on to qualify as an art teacher in 1980. 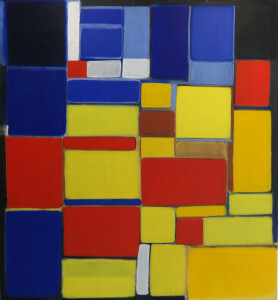 His first post as a primary school teacher opened his eyes to the use of colour, form and humour. He was appointed convener of the schools art project and organised workshops and exhibitions for children’s art and young artists. He found himself influenced by their portrayal of life in a primitive and naive genre. He has convened various art projects and workshops for both fine art and sculpture in the Western Cape. He is a founding member of the E’Bezweni Art Group (E.A.G. ), established in Paarl in October 1994. Selwyn explores humour to bridge the cultural divide rather than redefine the fault lines that separated the communities of the past. Laughter heals. 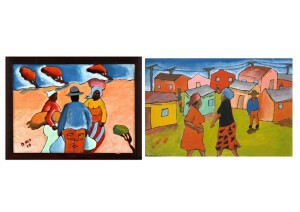 The bold colours, simple shapes, movement and humorous predica- ments best known by the Coloured and Black communities in the Western Cape, define his work. Selwyn exper- iments with different materials, media and techniques. He has worked as a sculptor, print maker and paints in oil and acrylic. 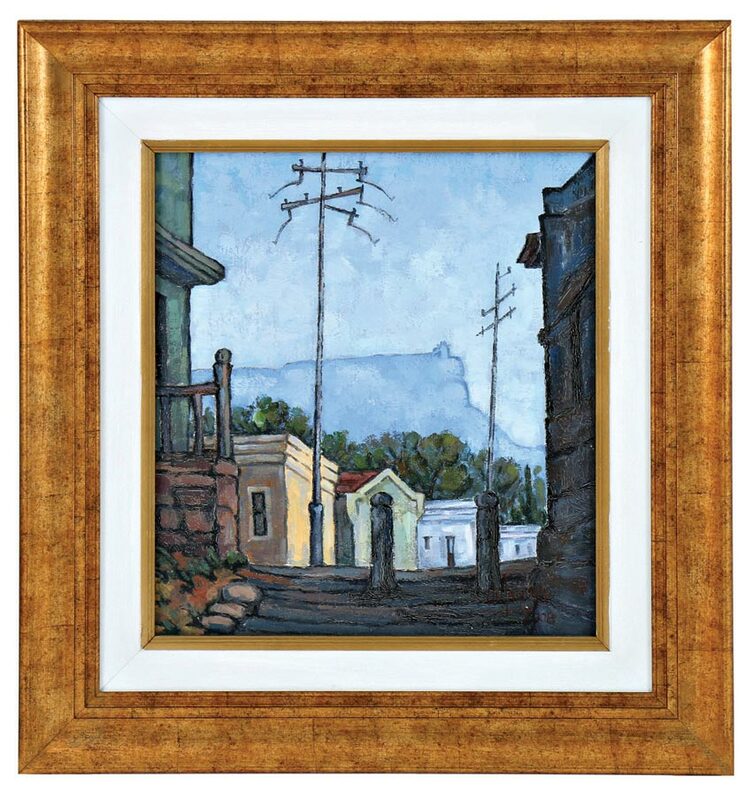 Gregoire Boonzaier was born in Newlands, Cape Town in 1909. He was the son of the political cartoonist, DC Boonzaier, and benefited from the close contact with his father’s artist friends, including Pieter Wenning, Nita Spilhaus and Moses Kottler, the sculptor. DC Boonzaier was strongly opposed to formal art training, and Gregoire’s initial studies were possible through association with these early Cape impressionist painters. 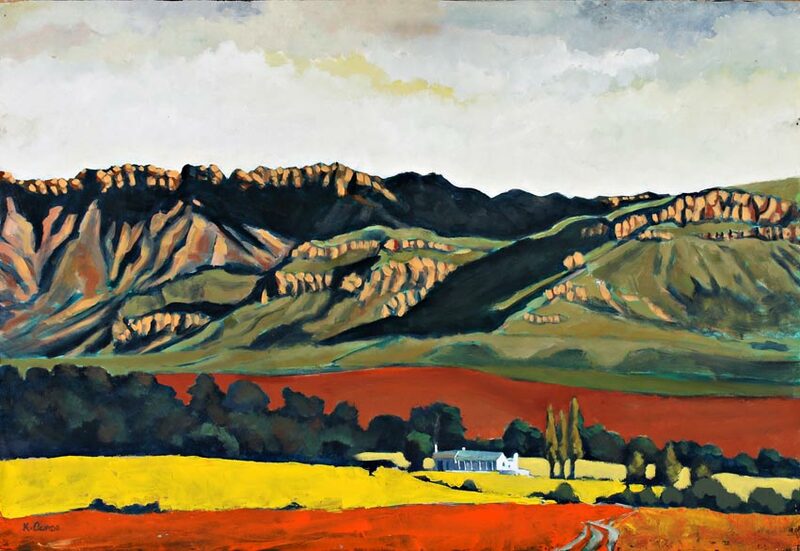 In 1923, at the age of 14, his first two oil paintings were exhibited at Ashbey’s Gallery in Cape Town - his first successful one-man exhibition was held there two years later. Gregoire went on to hold more than 100 solo exhibitions during his extensive career of more than eighty years. As a founder member of the New Group with Terence McCaw, Frieda Lock, Lippy Lipshitz and others, he was elected its first chairman in 1938. The New Group rendered an invaluable service to the cause of South African art for almost 15 years. 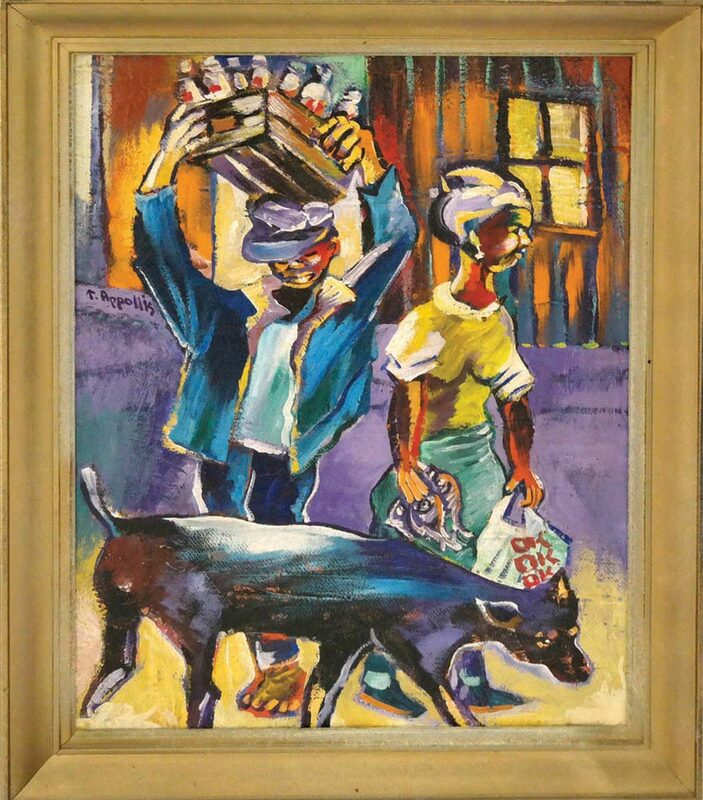 Gregoire Boonzaier died on 22 April 2005, a few months before his 96th birthday, having lived an extraordinary life and productive career, during which he was able to serve as a mentor and teacher to generations of South African artists and art lovers. Tyrone Appollis is a South African artist and poet. 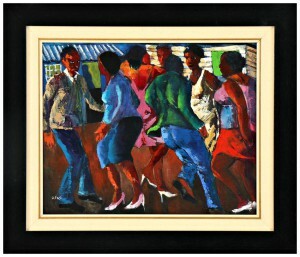 He was active in the formation of the Mitchells Plain Art Group in 1988. 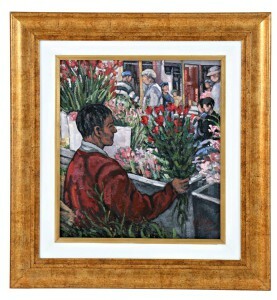 He has held numerous local and international art exhibitions. 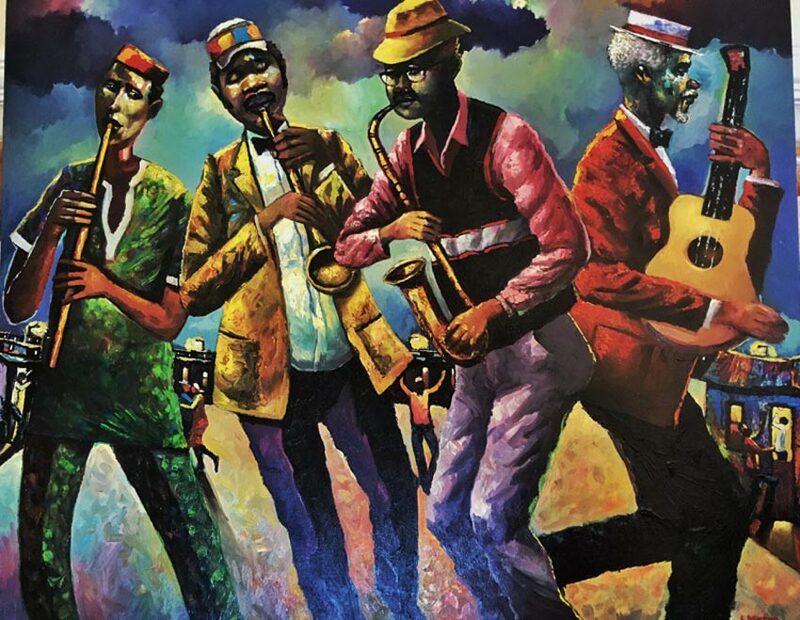 A professional artist since the late 1970s, Tyrone Appollis works from the conviction that “an artist must be of his time”. 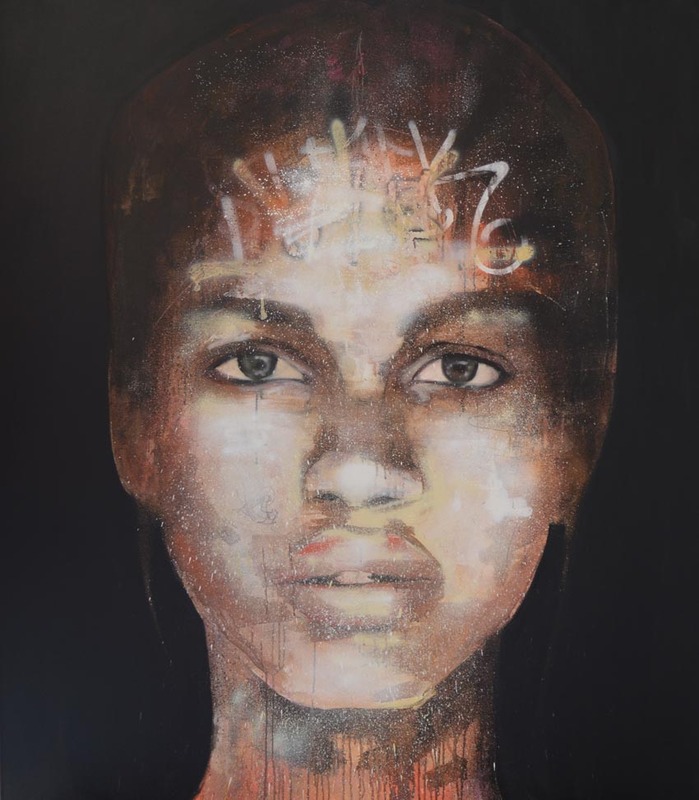 Tyrone Appollis’s art is rooted in his geographic identity as a Capetonian, in his historic identity as a “coloured” person, in his post-apartheid national identity as a South African, in his non- racial identity as an African, and in his humanistic identity as a member of a global community of artists. Born in Cape Town in 1957, Appollis studied art part-time at the Community Arts Project under Cecil Skotnes and at the Foundation School of Art in Observatory. 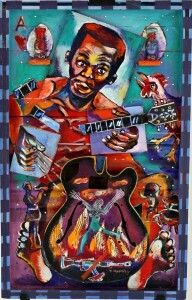 In addition to ￼wide recognition for his visual art, he is also well known for his abilities as a poet and musician. 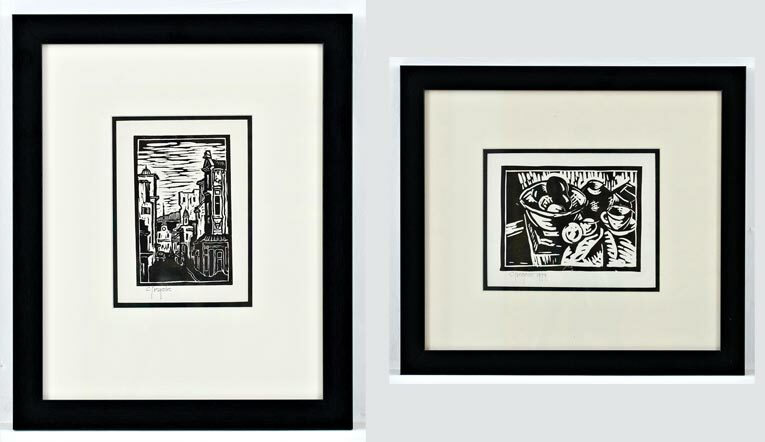 Appollis’s work is represented in several public and private collections in South Africa and abroad. 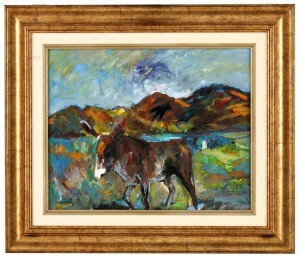 Pieter was born in the Great Karoo on the farm Hillmoore near Steynsburg in 1952. 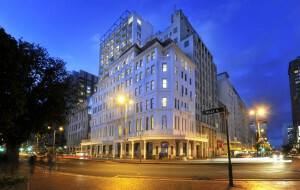 The family moved to Cape Town in 1958. Pieter received his school education at the Bellville-South Primary and High Schools where his art talent was discovered and where he received encouragement from his teachers to pursue a career in art. In the beginning of 1978 he decided to continue his hobby as a painter while working at Nettex SA. 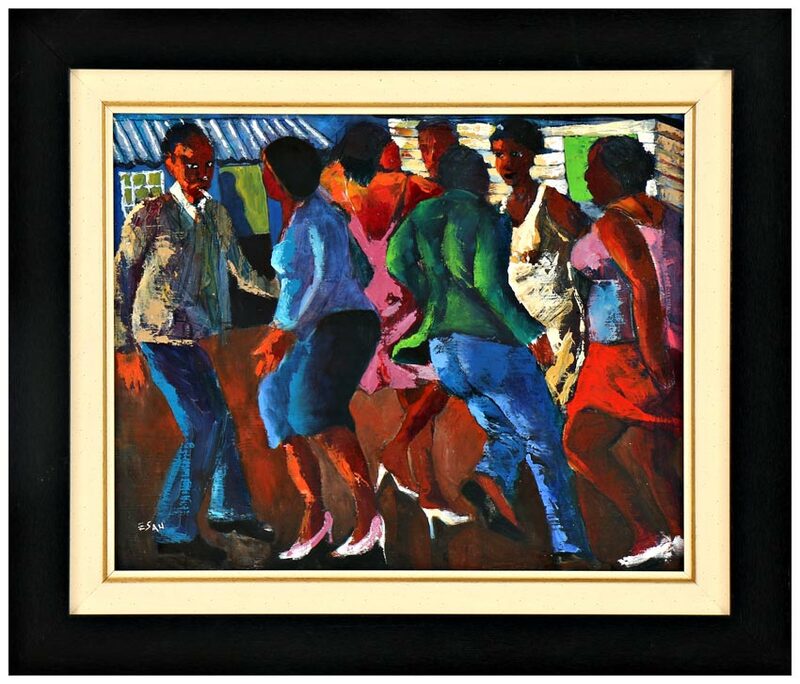 During 1982 he took part in a group exhibition in the Belhar Community Centre and again in 1983 in the Bellville Art Society. 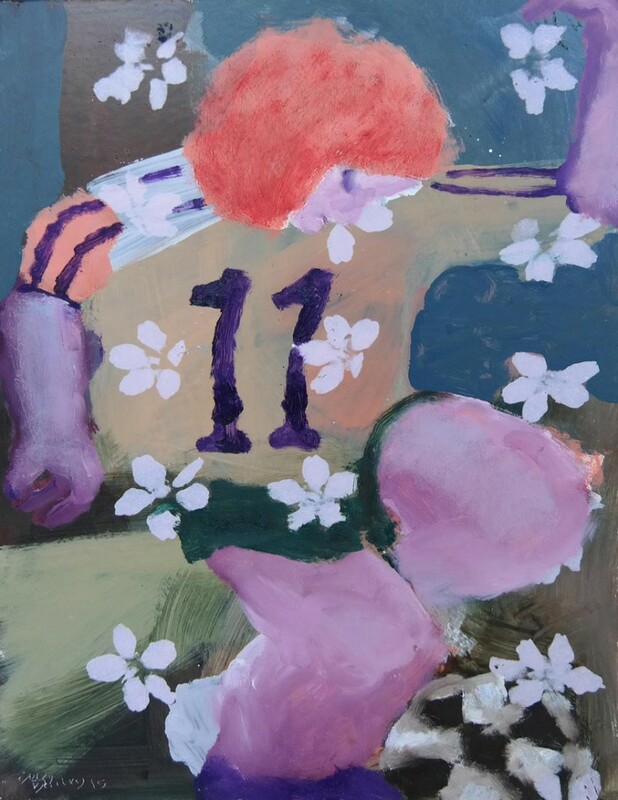 It was during this year that he met the well- known South African artist, Gregoire Boonzaier who was a great inspiration in the development of Pieters career as an artist. Pieter embarked on a full- time career as an artist in 1997. 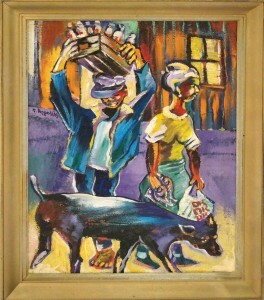 Numerous South African and international art collectors are in possession of his work. He has taken part in over 30 exhibitions of which 5 were solo exhibitions. Gail Catlin is the first, and possibly the only artist to use liquid crystal as the principal medium in her art. While Catlin lived in Arniston, she became fascinated by the nacreous quality of sea shells and mother-of-pearl, and was convinced that a new colour spectrum needed to be developed to capture the subtle and ever-changing shades of nature. She experimented with clays and resins and fiberglass, which played with light, when used in sculptural form. She made contact with Dr Cyril Hilsum at General Electric, who had co-invented the hologram, and was a world expert on liquid crystal. He first introduced her to liquid crystal. Her works have achieved a kind of metastasis —the ability of the artwork to escape fixity and to constantly transform itself like a kaleidoscope. She is probably also one of the first artists to venture into the realm of nanotechnology - the study and manipulation of materials at the molecular level. Joyce Ntobe was born of the frustration of “increasingly prevalent affirmative action”. Beezy Bailey submitted two artworks for a triennial exhibition. One was with the traditional Beezy Bailey signature, which was rejected and the other signed Joyce Ntobe. 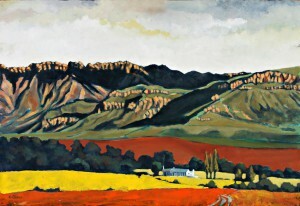 The latter now resides in the South African National Gallery as part of its permanent collection. When the curator of the Gallery wanted to work on a paper about three black women artists, Joyce Ntobe being one, Bailey revealed the truth, causing a media scandal. Beezy Bailey was born on 21 July 1962, in Johannesburg. 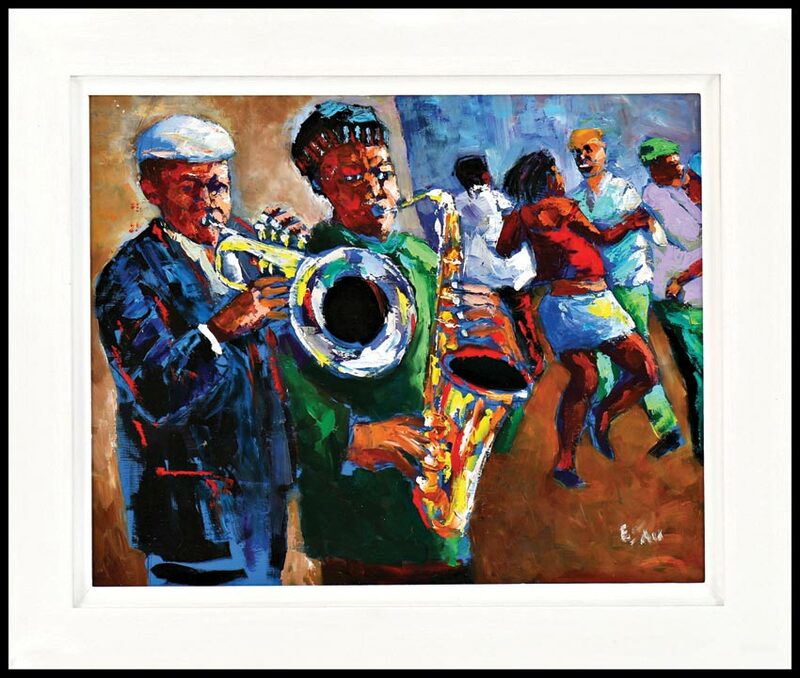 He is a South African artist who works in various media, including painting, sculpture, drawing, printmaking and ceramics. 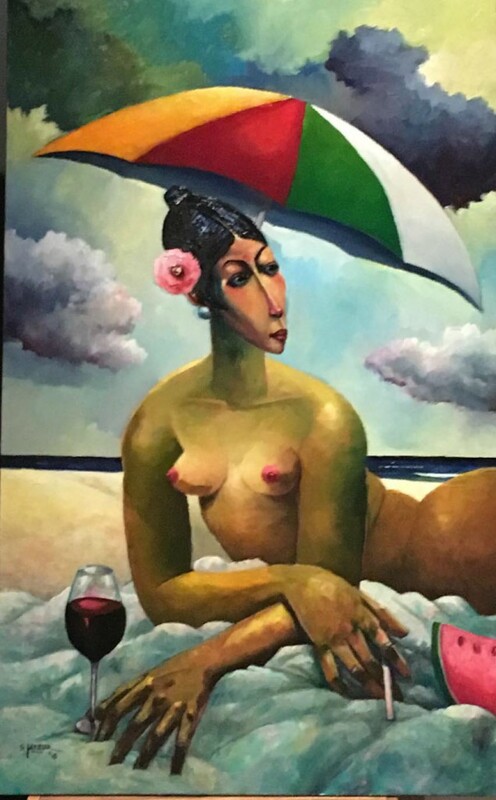 He has been a full-time artist for 30 years, with over 20 one-man shows ￼￼in London, Johannesburg and Cape Town as well as numerous group shows around the world. He received a fine art degree from Byam Shaw School of Art in London in 1986, after studying life drawing, printmaking, painting and sculpture. 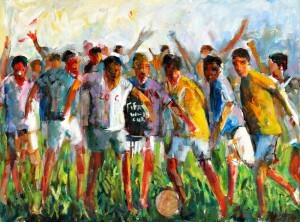 Dion Cupido won the Truworths Academy of Visual Arts Award at the Arts and Media Access Centre (AMAC) in 2003. As a teenager from Mitchells Plain, Cupido began creating art as a means of expressing himself. 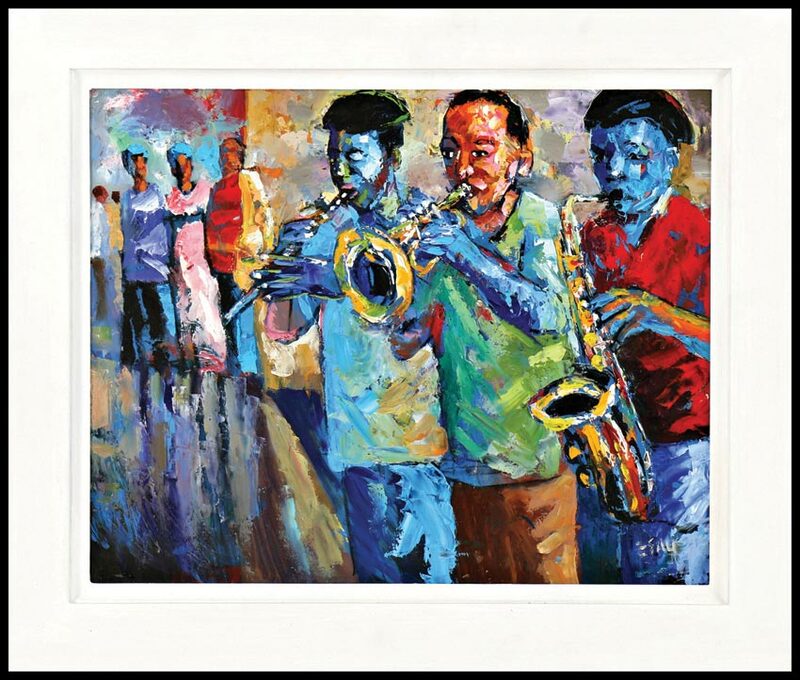 It was only when a friend’s younger brother asked Cupido to help him with a matric art project, that he realised he could paint and that he loved it. Cupido had left school by then and was doing various casual jobs to help support the family. He wanted to have his paintings in galleries. 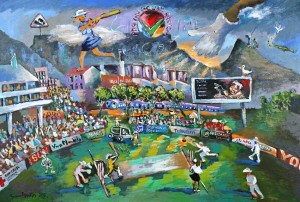 Gerard Cloete, artist and owner of the Peanut Gallery encouraged Cupido to create a body of work. He used inexpensive industrial ink from his father’s business to paint with. His most recent work involves what he calls ‘African-Pop portraiture’. Five paintings in the series were on display in his first solo exhibition, ‘Perceptions Of Beauty’, at the Worldart Gallery. He is a resident at Good Hope Art Studios and his work is included in several prestigious collections, including the Nando’s art collection in London and Beyonce has bought his art. Tendai was born in 1974 in Marondera, east of Harare. He studied ‘O” Level and “A” Level, gaining distinctions for A Level. Disciplines he learnt were painting, drawing, sculpture, printmaking and photography. His specialisation and passion now is painting. Sources of inspiration for his work include the late Hilary Kashiri, Monet and Van Gogh. 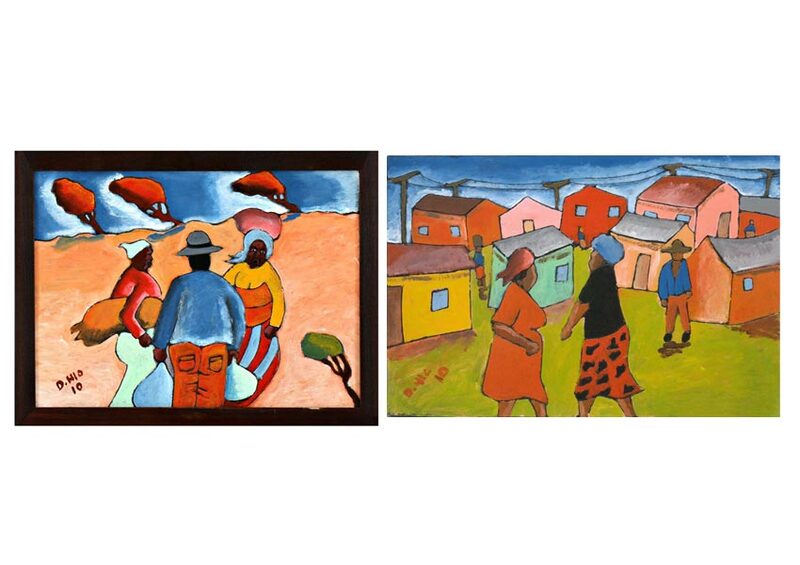 He has participated in many exhibitions locally and in Zimbabwe where his work is characterised by thick brush strokes and vivid colour, people and landscapes. He lives in Harare and is married with two children. Born in Cape Town in 1957, Appollis studied art part-time at the Community Arts Project under Cecil Skotnes and at the Foundation School of Art in Observatory. 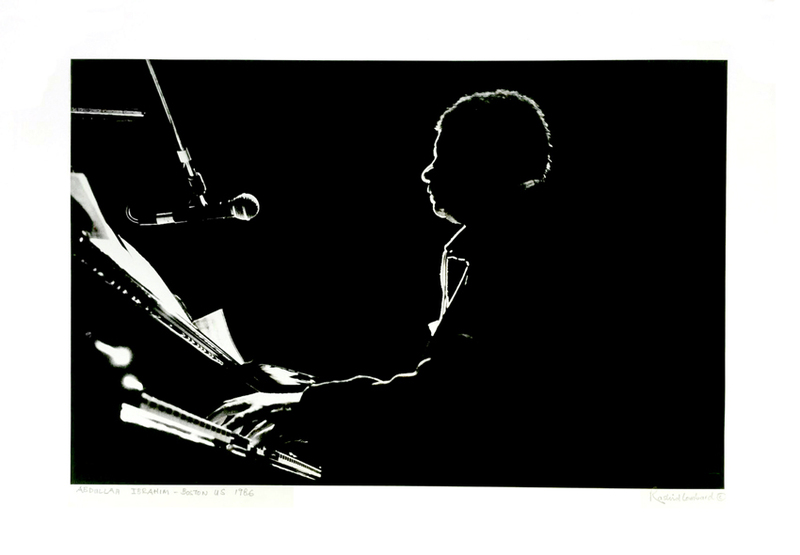 In addition to wide recognition for his visual art, he is also well known for his abilities as a poet and musician. Frank Ross was born in 1953 in Wellington. Frank’s approach to painting is uncomplicated and direct. 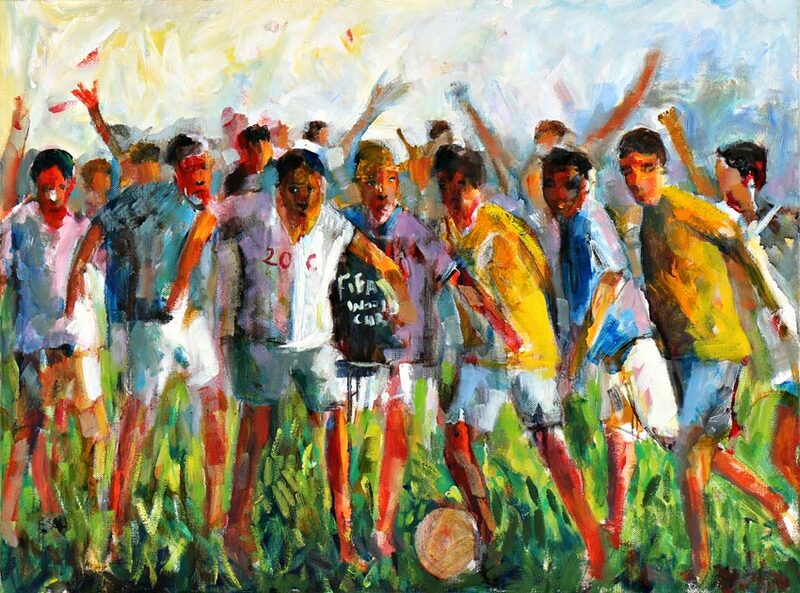 In his work, the expressive use of line and strong brushwork, amplify his experience. “Colour is important to me. Red symbolises the unhappiness I associate with the problems with land.” His paintings incorporate the people of the Boland: labourers toil in the vineyards, women carry wood or trudge wearily home after a day’s work and strong southern sunsets streak the sky. 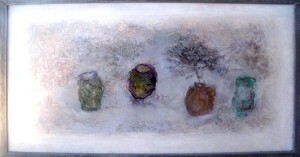 Frank has had no formal tuition but has learnt much by being in the company of other artists and observing their work. His work is original as he is unaware of the traditional conventions used to portray the human figure and landscape. 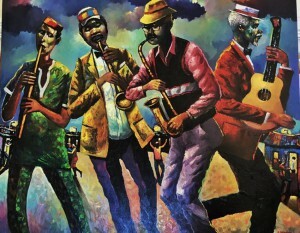 His talent was recognised by the E’ bezweni Art Group in 1996. Frank has had many group and solo exhibitions in South Africa and abroad. He had solo exhibition in Germany in 2012 where all his paintings were sold on the first day of the exhibition. David Hlongwane completed a four-year course at the Academia di Belle Arte in Perugia in 1991. Today he teaches art to the juveniles in prisons with an empathy born of his own incarceration as a result of his activities in the struggle. David Hlongwane was born in 1963 in Zwelethemba Township in Worcester. He completed his high school education at Vuyisile High School in Worcester and joined the Community Arts Project in 1984.When his brother, who had been supporting him, was killed, he had to give up his studies. He was arrested several times during the Apartheid era. While in prison he had time to explore his artistic talent. With the support of the Italian Government, David Hlongwane was offered a full grant in 1988 to study art for a year in Perugia, a small town near Florence. His art found expression in many posters, banners and pamphlets, as well as in his sculptures and paintings. The artist is well known in South Africa where he was the winner of the 1995 Mayibuye Center Sculpture Competition. His work has also been well received in the United States of America, Italy and Germany. Lesley Charnock, teacher, painter of still lives and portraits, brings oils to life. Step into her studio and teaching space at Montebello Design Centre in Newlands, Cape Town and there is no doubt that you are in Africa. There is vibrant colour, bright sunlight, deep shadows, confident, energetic brush strokes, luscious palette knife work, strong tonal values...and, above all, a love for the diverse people of Africa and its breath taking beauty. Inspired and stimulated by her many travels through Africa, Lesley finds the subjects for her paintings in the people she sees walking along dusty country roads, working in the fields or herding cattle and tending their flocks. On the streets of the cities she finds people waiting for taxis and buses, selling fruit or flowers, or walking and jogging along a promenade. Whether it’s a landscape, a seascape or a city scene, there is rarely a painting by Lesley without a figure in it. Then, for a change of pace, you will find portraits full of life and vigour, serene flower studies and striking still life compositions. Her rich, glowing oils have found their way into both private and corporate collections throughout South Africa and around the world. Liza Littlewort was born in Cape Town, and lives and works in the city. 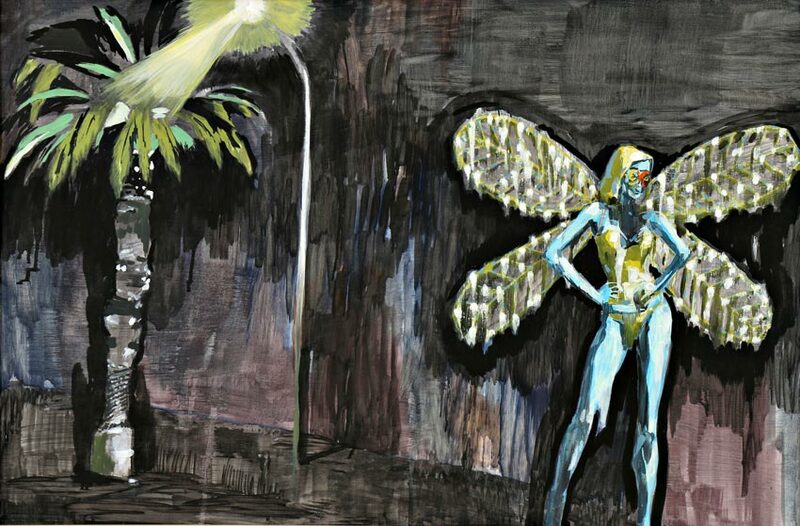 She uses fresh and experimental ways of working with oil paint on different surfaces, calling this methodology “Absurdist” as it creates unexpected, surreal accidents which Littlewort uses to express her sense of the essential absurdity of life. Her sense of the absurd is informed by ideas famously explored by Dadaism: the inherent ridiculousness of neo- imperialist ideology and its effects of global devastation, mass poverty and perpetual war. Her last solo show “We Live in the Past” critiqued hegemonic narratives of whiteness in comtemporary South Africa. 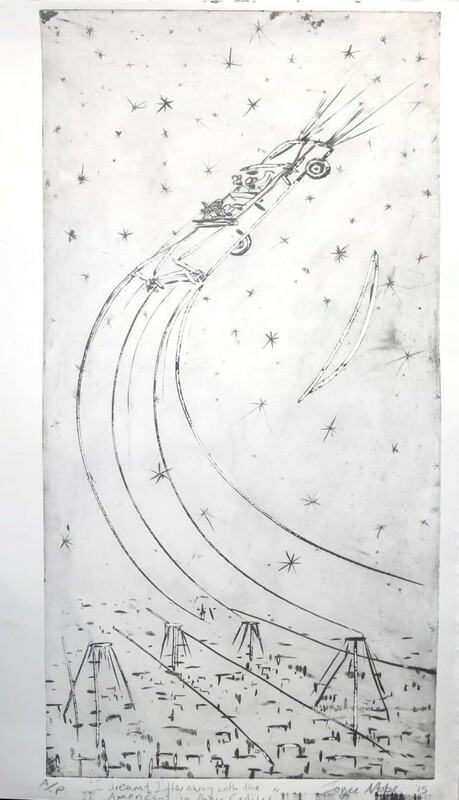 For her forthcoming show in April 2016, she is focussing on what critic Brenden Gray describes as “blind, liberal acceptance of the transcendental properties and goodness of art.” She intends for it to take the form of a kind of magical- realist satire of ‘cottage mysticism’. Rashid Lombard has photographed both local and international musicians, and has paid particular attention to recording South African musicians-in- exile such as Hugh Masekela, Miriam Makeba and Abdullah Ibrahim. 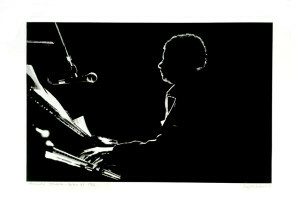 In 2010, he contributed to the exhibition at the Duotone Gallery at the Cape Town International Jazz Festival. His book of jazz photographs, ‘Jazz Rocks’, was published in 2010. 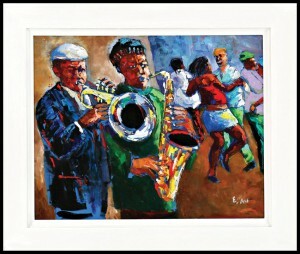 James Matthews, the South African poet and writer, in the foreword to the book observed that “...Lombard’s collection of photographs...is an ode to South Africa’s jazz musicians... Each and every lovingly taken photo displays its empathy with the music and the players." His preferred medium is oil and acrylics. Over the years he attended private art classes and through correspondence. He had commercial art tuition at the Ruth Prowse School of Art in Cape Town. Known for her expanding dimension and exuberant colourful paintings, French Corsican artist Catherine Timotei’s work draws inspiration from a diverse array of influences - from Renaissance masters to the 20th Century abstract Expressionism movement. Her theory of pure colour echoes the powerful impressions left by Hans Hoffmann. Making a painting is almost a physical struggle and reflects the artist’s constant search to give volume presence, between reality and immateriality and between two- dimensional extension and three- dimensional depth. With the moral impulse of the American expressionist heroes strongly entangled she bridges the link between European and American expressionism to develop her own expressive potential. Her artwork is full of allusions and associations that are not easily deciphered, leaving room for it to take on a diaphanous form. Catherine Timotei settled in South Africa several years ago and lives in Cape Town. Named after the Greek titan, Atlas, the Atlantic Ocean has inspired artists, poets and philosophers with its immense beauty and power since the beginning of civilisation, and still inspires wonder in even the most world-weary visitors. Tintswalo Atlantic, a 5-star luxury lodge nestled on the shore of the Atlantic Ocean between Hout Bay and Cape Town, mirrors the majesty of the Atlantic Ocean in every uniquely designed suite and finish. 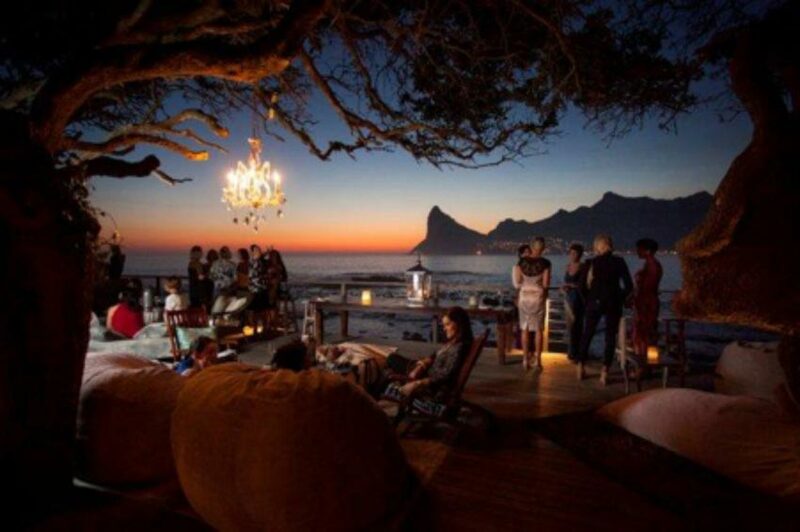 Located on Chapman’s Peak Drive, which forms part of the Table Mountain National Park – one of South Africa’s eight World Heritage Sites, it is a must for any traveller’s itinerary. Visitors to Tintswalo Atlantic can expect exclusive accommodation in a breath-taking setting, 5-star fine dining, warm, family-style hospitality and a host of unexpected pleasures in this, our gem on the Atlantic. Cuvée Clive | This extraordinary bubbly represents the pinnacle of our Cap Classique craft. Lovers of fine bubblies produced in the traditional Méthode Champenoise manner are familiar with the terms Cuvée Prestige or Tête de Cuvée. Loosely translated this means ‘head of the class’. These precious bottles are nothing less than the very best of the best. Produced in limited (exclusive) quantities and mostly only in truly exceptional vintage years, Cuvée Clive is crafted in a brut style, with a minimum amount of sugar added at disgorgement. This small dosage is possible thanks to the quality of the grapes selected and the time spent on the lees, in our cool cellars. The Chardonnay contributes elegance and fruit finesse, while the Pinot Noir provides body, structure and length of flavour. Cuvée Clive has undoubtedly achieved the fundamental prerequisite of that which defines a prestige cuvée: superb complexity. 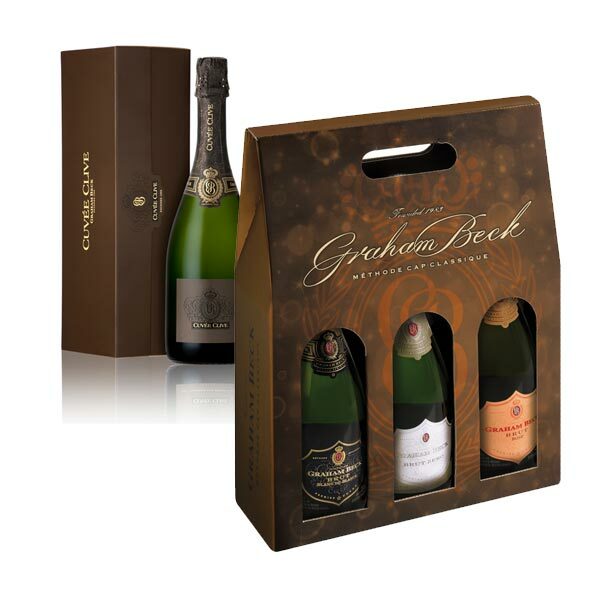 MCC Vintage Range Gift Pack | This exclusive limited offer (comprised of 1 x Brut Zero 2010, 1 x Brut Rosé 2010 and 1 x Blanc de Blancs 2011) is exquisitely packaged. Each of these delectable bubblies epitomizes the Graham Beck commitment to elegance, sophistication and finesse.This category of Graham Beck Cap Classiques is an expression of the very best selection of Chardonnay and Pinot Noir from that specific year to authentically reflect the Vintage portfolio. 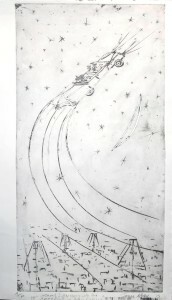 The following items are for sale at the Leonardo Da Vinci Gallery and at the Art Auction. Sandy comes from a creative family in Darling, on the Cape West Coast. He is a self-taught artist, using acrylics and mixed media. He became a full time artist in 2000 and did commissions for Daimler Chrysler, Indaba Tourism, Policy Link and “Evita se Perron”. He participated in many group exhibitions as well as many solo exhibitions. 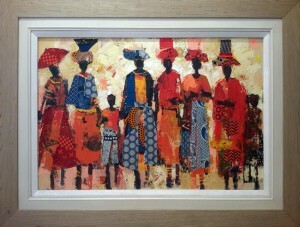 His art works are found in most of the major galleries in South Africa. Sandy was educated at the Vooruitsig Primary School in Darling and the Atlantis Senior Secondary School. His remarkable talent was noticed by an art professor of the University of Cape Town and he made it possible for Sandy to receive his art education at the Ruth Prowse School of Art in Woodstock (lectured by Eric Loubser and Ryno Swart) and the Daljosafat Missionary Station in Paarl (lectured by Judith Mason). 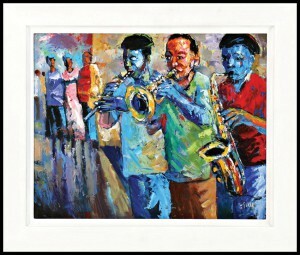 He is regarded as one of the most successful and talented young artists in South Africa. Kervin grew up in the Boland town of Paarl. He is a talented, highly productive multimedia artist and sculptor. 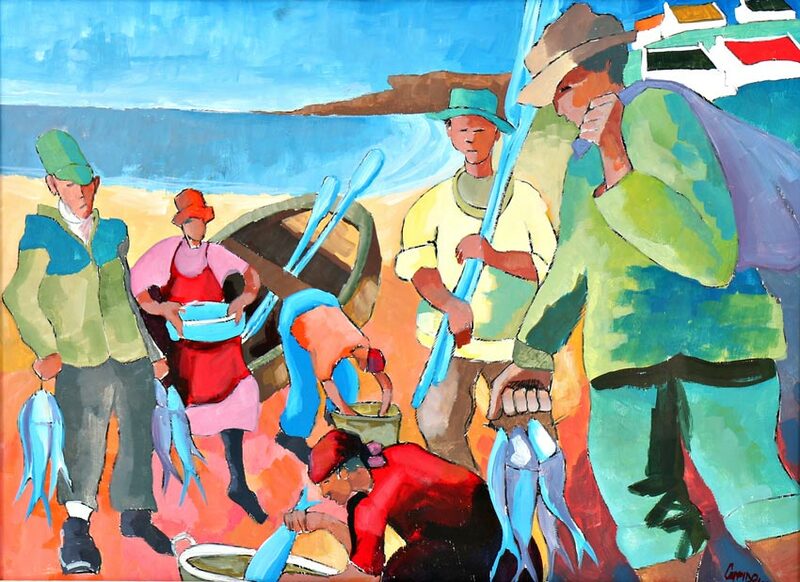 He is active in his community and is a founder member of the Ebezweni Art Group in Paarl. After matriculating, Kervin received training at the Sculpture Workshop at Daljosaphat Art Foundation in Paarl. He participated in numerous group exhibitions as well as solo exhibitions. 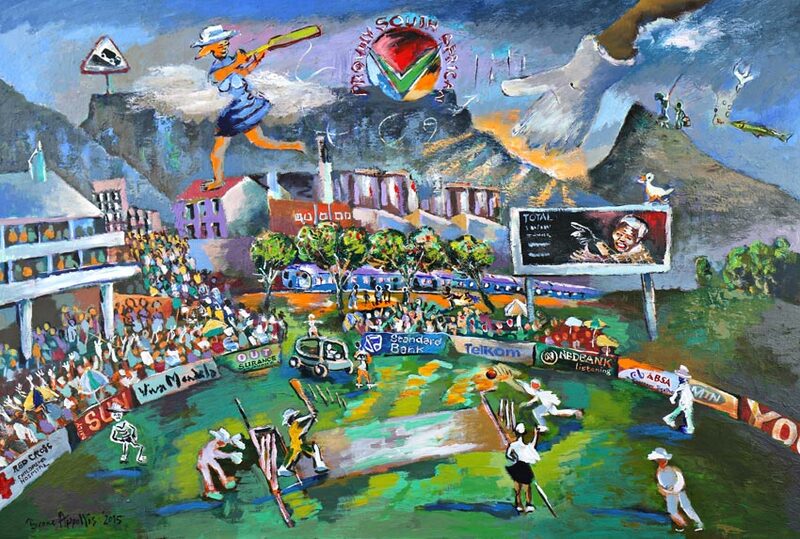 Kervin’s art works are found in Corporate and Private Collections, Embassies all over the world, the Western Cape Legislature and the South African National Government. Tyrone Appollis is a South African artist and poet. 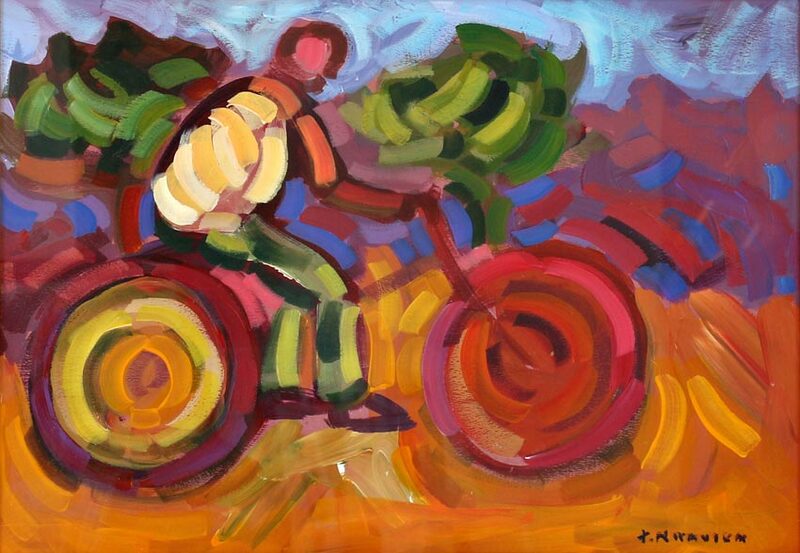 He was active in the formation of the Mitchells Plain Art Group in 1988. He has held numerous local and international art exhibitions. A professional artist since the late 1970s, Tyrone Appollis works from the conviction that “an artist must be of his time”. Tyrone Appollis’s art is rooted in his geographic identity as a Capetonian, in his historic identity as a “coloured” person, in his post-apartheid national identity as a South African, in his non- racial identity as an African, and in his humanistic identity as a member of a global community of artists. Born in Cape Town in 1957, Appollis studied art part-time at the Community Arts Project under Cecil Skotnes and at the Foundation School of Art in Observatory. 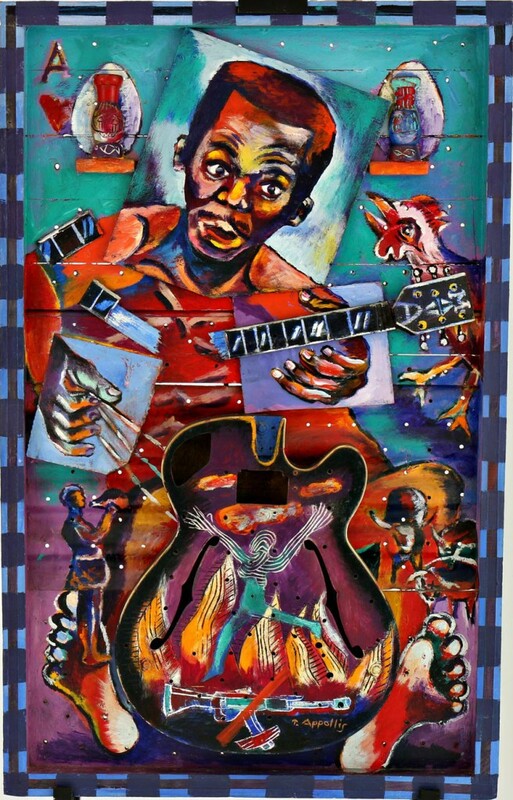 In addition to wide recognition for his visual art, he is also well known for his abilities as a poet and musician. 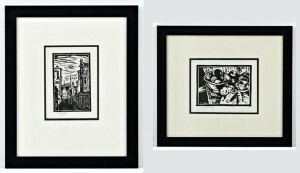 Appollis’s work is represented in several public and private collections in South Africa and abroad. Frans Smit was born in Stellenbosch in 1976. He first studied science at the University of Stellenbosch but decided to study a field with more creativity. He studied photography for four years at the Free State Technikon then moved to London where he spent four years. During his stay in the United Kingdom, he followed various painting courses at Chelsea College of Art and Design, the City Lit and also the prestigious Central Saint Martins. He is currently a full time artist and photographer living and working in Cape Town and does freelance work for various magazines, predominantly focusing on decor and portraiture. 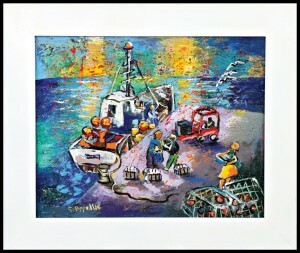 He is very passionate about painting and finds it is a fulfilling process. He currently works from the EASTSIDE Studios in Woodstock.